Exciting news from the home offices here at WorldThruOurEyes.com. Okay, it is just my desk in my apartment overlooking the Rhein River….but exciting news nonetheless!!! InterNations.org is an international community of 1 million+ Expats worldwide that was founded in 2007 by Expats for Expats. It is a great networking organization for Expats in various communities around the world to help each other with moving and living in their new host countries & communities. And, I feel honored that this organization has recommended our blog “WorldThruOurEyes” to be a featured Recommended Expat Blog in Germany. Thank you InterNations!!! I look forward to continue blogging our adventures and experiences in Germany as well as the other fantastic places our travels take us. 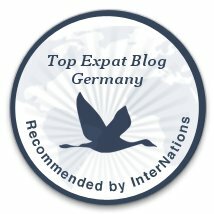 Hopefully, any Exapts to Germany will find this blog helpful in adjusting to life in Germany, and to possibly provide travel ideas during your time here. Click this link to read the interview I provided to InterNations about us, why we created this blog, and our advice on moving to Germany: Link to my interview with InterNations. The term ‘Expat‘ is short for ‘Expatriate‘ and means a person temporarily or permanently living in a country other than that of the person’s upbringing. The word comes from two Latin terms “ex” (meaning ‘out of’) + “patria” (meaning ‘country’ or ‘fatherland’). Next: Next post: How Did Today’s Christmas Traditions Start in America? Here’s a Hint German Christmas Markets.